Most importantly though, the benchmark should be able to simulate a real-world work environment, because this is what it’s all about: Figuring out what Hardware Components will get you the maximum speed for the type of work you do. 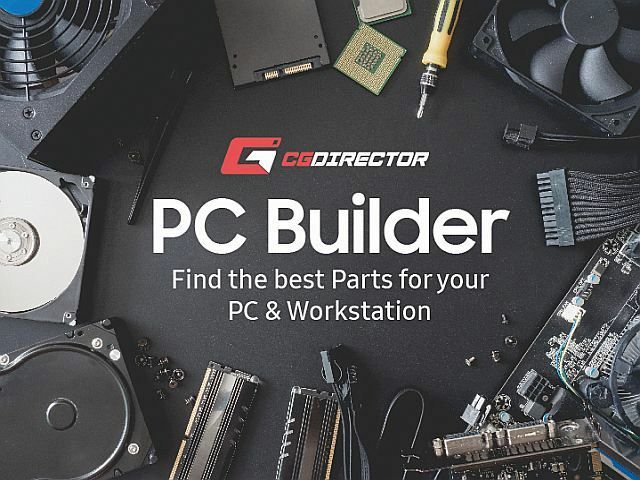 Depending on what you use your computer for, there are lots of different CPU and GPU Rendering Benchmarks, that will fit your needs in finding and comparing the optimum Hardware Components. What are the CPU and GPU responsible for in 3D? What makes a CPU and GPU strong in a 3D specific task? Are your components running as fast as they should? Planning on upgrading your PC? Bench it first! Want to tune your System to have it run the best it can? Before diving into what Benchmarks to use (I’ll get into that a bit later), let’s take a look at what components in your System are mainly responsible for what tasks. This way you will be able to identify what component is responsible for the type of work you do on a daily basis. Now that we know, what the CPUs and GPUs main tasks are, let’s take a look at what features these Hardware components must have to optimize these tasks. A common misconception, for example, is, that you need a faster GPU if the Viewport in your 3D-Application gets slow. Even though the GPU is responsible for displaying Scene-Contents, most of the Time, the CPU, that first has to calculate deformers, modifiers, rigs and the like, before the GPU can display the resulting object/mesh, is responsible for slow viewport Speed. Unless you display RAW Meshes without any type of Mesh-modifications, your CPU usually is the culprit in slow viewport speed. Probably the most obvious reason for benchmarking your CPU and GPU is, to compare your results with online Databases and see if your Hardware components reach the Speeds they are supposed to. If your hardware component does not reach the Speed other User’s are reaching, be sure you don’t have any background programs running while benchmarking, that will take away some performance. It is best to benchmark your System right after a clean install. When benching your CPU and reaching scores that are too low, be sure your BIOS settings, such as Turbo-Boost, are correct and the CPU is not running too hot. When benching your GPU and not reaching common scores, again be sure no other software is running in the background and your GPU driver is up-to-date. That said, though, sometimes reverting to an older Driver does the trick. not enough power from the PSU. Also be aware, that GPU performance doesn’t always scale linearly when using Multiple GPUs. Using 2 GPUs might give you 1.9 times the performance, 4 GPUs might only give you 3.5 times the performance, depending on the benchmark you are using. Check out this article about GPU-Hardware here for more in-depth information. Octane does a fairly good job in scaling linearly, but redshift, for example, will give you less performance per card, the more cards you add. Another great time to benchmark your Computer is when you are planning on buying new components or an entirely new PC. You will only know if spending all that money is worth it if you know what performance improvement over your current Hardware you can expect. In most cases, the higher the price does not always mean a better Hardware component for your specific use case. Maybe you only need to upgrade a specific bottleneck that slows down your overall system performance and not get an entirely new PC. If you have a certain amount of budget you are willing to spend, benchmarking your current system first, will give you the possibility to roughly calculate what you can expect when getting new components within your budget. Overclocking and tuning/optimizing your System can greatly improve performance. There is no way around knowing if your optimizations have any effect if you don’t have a benchmarking baseline of your System’s default performance. Benchmarks are also great for testing your System’s stability after overclocking. With Internet Connections getting faster and faster, online Renderfarms are more popular than ever. Calculating the cost of a Scene you would like to render on a Farm usually requires knowing your own System’s speed to be able to extrapolate. It is also great to know the scores of your own PCs, If you have many of them, to best distribute specific tasks that run optimally on the different systems. Benchmarking your PCs regularly also notifies you of any performance issues that might arise after some time, that otherwise might go unnoticed. Ok, so here they are: The actual Benchmarks, that let you test your System and Hardware Components’ performance. 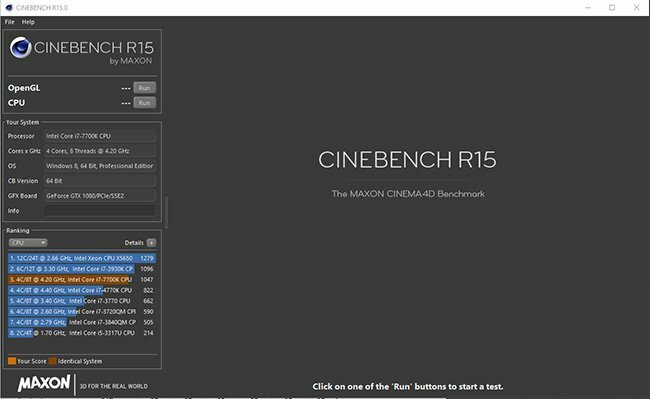 The most popular Benchmark for testing Multi-Core and Single-Core performance of your CPU, especially in the 3D-Rendering world, is Cinebench R15. 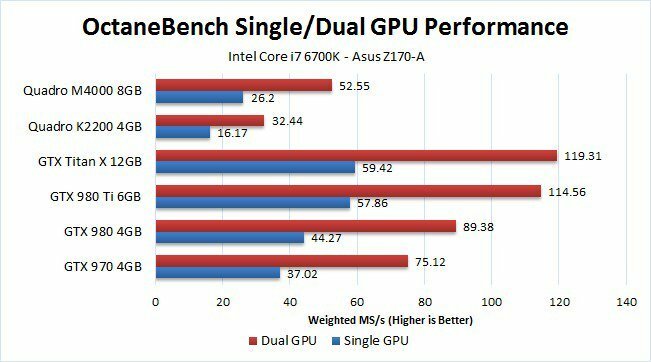 The Cinebench CPU Render Benchmark in itself is quite simple. It renders a pre-defined Scene on your CPU. Since rendering Scenes on your CPU is something you (in the CG Industry) probably do quite often, this CPU benchmark comes very close to real-world applications and is based on the 3D-Software Cinema 4D. Cinebench can both render the Scene on all Cores, for multi-Core performance, and on a single Core, to obtain single-Core performance results. Be sure to check “Advanced Benchmark” in the Menu to be able to test your single-core CPU performance too. It also has an inbuilt GPU OpenGL performance benchmark, that is a fairly good indicator of your possible viewport performance. Note though, that this OpenGL benchmark can produce very inconsistent results in different CPU/GPU configurations. Cinebench runs on all major CPUs. Just hit “Run” on any of the Benchmarking options, and the Benchmark will fire away! 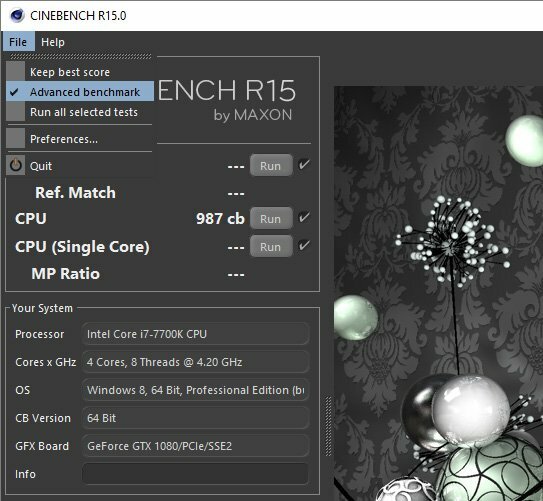 Download the Cinebench R15 CPU Render Benchmark here. Another great Benchmark for testing your CPU Render performance is the VRAY Benchmark. 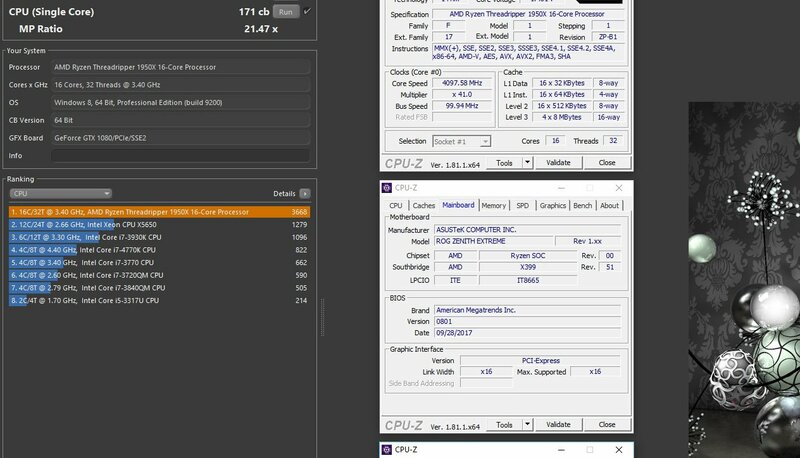 It is quite similar to Cinebench, as it renders a predefined Scene on your CPU (or GPU see below) and has an extensive online database to compare results in various configurations. Download the Vray CPU Render Benchmark here. There are 3 very popular GPU render engines: Octane, Redshift, and VRAY-RT. All of these have GPU Render Benchmarks based on their engines. Octane and Redshift though only run on Nvidia GPU with CUDA-Cores. Octane and VRAY GPU Benchmarks are easy to download, the Redshift Benchmark is currently only available for Customers. The procedure is the same as in the Cinebench Benchmark. Hit “Run” to get your results. Download the GPU Render Benchmark OctaneBench here and VRAY Bench here. Extensive VRAY Benchmark List can be found here. Need help benchmarking your CPU / GPU? What scores did you reach? Let us know in the comments! Hi Alex, first off, I want to say amazing article!! I’m starting in a new office soon and was told I could come with recommendations for the computer I’m getting, since I will have the main responsibility for visualizations and VR at the office. I’m new to building pc’s so I’m not sure if this is a good build for the programs I have in mind. If it’s a good build I would still love recommendation for how to improve it. Thats awesome that they let you put together your PC! Did you check out the article on the best Computer for 3d modeling and rendering yet? That would be right up your alley. To sum it up. LGA1151 is already a great pick. I would go i7 8700k or if you want more rendering power go AMD Ryzen 2700x route. If you want 64 GB Ram be sure to get a 64GB Kit, not two seperate 32GB kits, as the RAMs that are packaged together are pre-tested in the factory that they perform well together. PSU and GPU looks good. Be sure to get an M.2 PCIE SSD with that for best performance, such as the Samsung EVO or PRO 970, (1TB or 500GB). Other than that good build! Hi Alex and thank you for this very detailed article! Thank you also for joining a picture of our online cost estimator but this is the previous version of our Ranch Computing website. 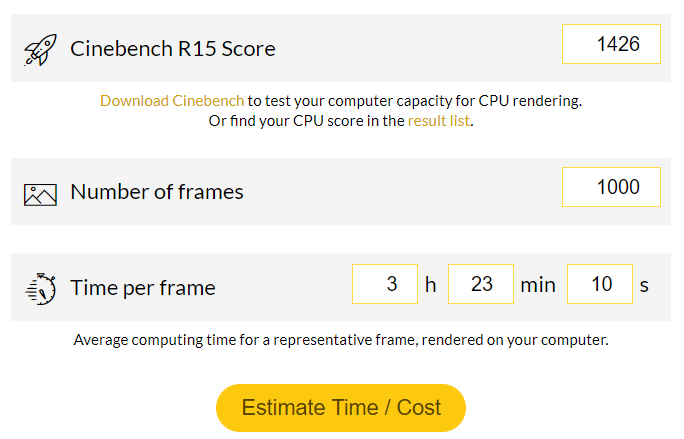 We launched a new one which is much more intuitive and that you can find here: https://www.ranchcomputing.com/en It is still based on the Cinebench or OctaneBench score, as it is the only reliable way to make an estimation. I am at your disposal if you have questions! Thank you for the heads up! I updated the image. I have been using your renderfarm for quite some projects, and it has always worked well. A 1080ti is a nice upgrade though if you can make use of the added VRAM, and it will perform a good deal better in games. If you are looking into GPU Rendering or gaming I’d go with a second 1070ti, for Photoediting and Video Editing related workloads, I’d go with a single stronger card, as most of these kind of Softwares don’t make use of a Second Card. My name is Connor, I’m building a machine to run Solidworks, Keyshot, and the Adobe suite with maybe some occasional gaming. This article was super helpful in comparing the value of different processors and graphics cards! My semi-loose budget is $1500. Here’s what I have so far, I don’t know a ton about how each of the parts relate to each other in terms of bottlenecking. Let me know if anythings is missing or won’t work together. I’m building it on CyberpowerPC and it’s at $1,550 currently. Thas actually a well balanced build that will work great! You might want to think about getting more RAM, but these are quite expensive currently. Thanks for the response! I ended up going with the above build but decided on a 2700x for the additional cores. Also went with Samsung 970 EVO 250GB – NVMe PCIe M.2 2280 SSD in place of the WD Green SSD, it’s supposed to be quite a bit faster. I’ll look into getting more RAM in the future.